Cross Tombstones for Minimum Tool Clearance | Advanced Machine & Engineering Co. Plain face - Precision machined faces without holes. Standard Grid - 1/2" or 5/8" Holes in a 2.000" spread grid starting 3" from bottom of base plate. 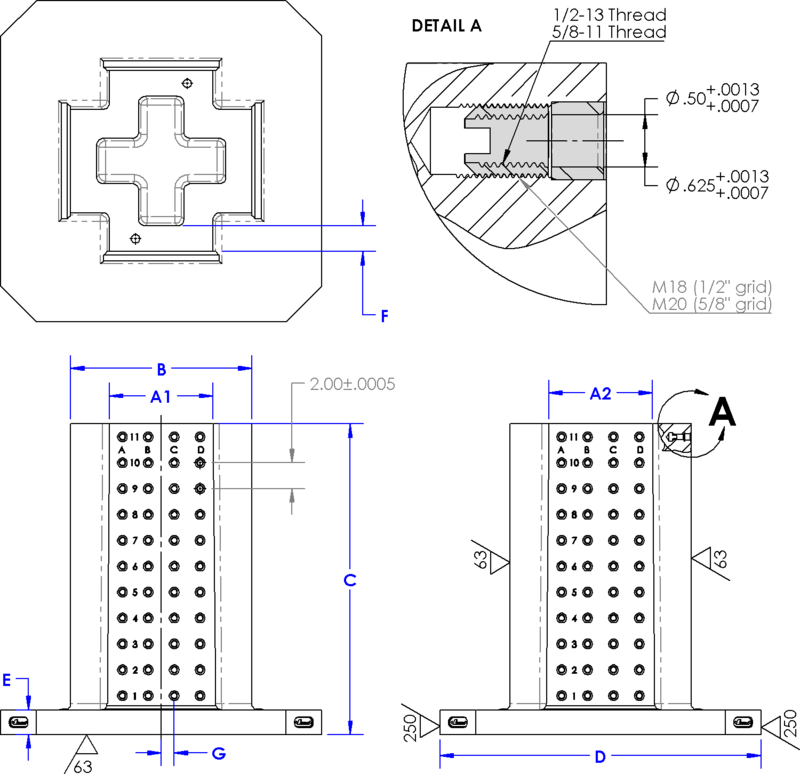 Each hole includes a precision bushing for locating and a threaded insert*. Custom - Designed specifically for your application. Some options include T-slots, custom hole sizes, custom patterns. Contact us for more info. Standard Grid - 1/2" Holes in a 2.000" spread grid starting 3.5" from bottom of base plate. Each 1/2" tapped hole includes a precision bushing for locating. Material Properties – Comparable to aluminum. This lightweight material is very efficient in vibration damping, showing results better than aluminum. In stock tombstones are available in a 1-4 week lead time. Looking for a complete fixturing solution? AMROK has over 30 years of experience in the complete design and build of custom / dedicated fixtures. 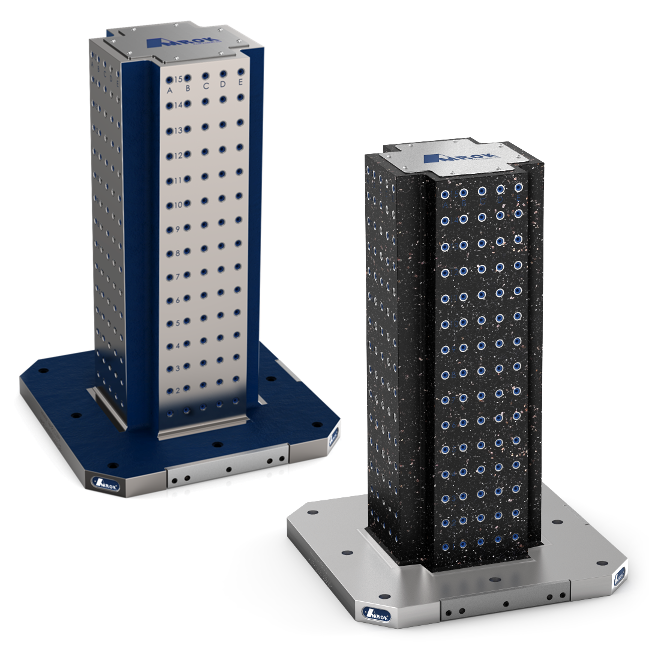 Tombstones are also known as: Tooling Columns, Fixture Columns, Pallet Fixtures, CNC Tombstones. *For cast iron tombstones, when machined faces are further than 8” from the edge of the base plate, the bottom row of holes will include threaded inserts only.